You scratch my back, I’ll…erm…pretend I didn’t just see that dinosaur on Noah’s Ark. It’s not news that more-secular conservatives have long paired up awkwardly with Christian conservatives. With T-Diddy in the White House, though, things seem to be reaching a crescendo of ultimate weirdness. A couple of recent news stories underline the contortions that both sides have to go through to make America great again. Fox n Friends strategist: Who’da Thunk We’d Be Hanging out with Dinosaurs for this…? First of all, let’s clear the air of a few stubborn misconceptions. As we’ve pointed out over and over—SAGLRROILYBYGTH are likely tired of hearing it—there’s absolutely nothing “new” about the idea of conservative evangelicals getting involved in politics. The so-called “New Christian Right” of the 1970s was not the first time that evangelicals decided to jump into the political fray. As historians such as Daniel K. Williams, Matthew Avery Sutton, and yours truly have argued for years, evangelical Protestants have always been politically hyperactive. As any historian knows—and any savvy evangelical could tell you—the evangelical community has always included political conservatives, political progressives, and a bunch of people in the political middle. The emergence of the “New Christian Right” was not a question of evangelicals getting into politics for the first time, but rather an always-awkward alliance between politically conservative evangelicals and the conservatives within the Republican Party. Having said that, let’s look at some of the recent unpleasantness. At evangelical Taylor University in Indiana, for example (see our further coverage here), Vice President Mike Pence has caused a furor over his invitation to deliver a commencement address. Politically progressive members of the Taylor community have protested. The vice president has very orthodox Christian beliefs – very traditional beliefs – that a vast majority of Christians believe. His political views are shared by a large section of America, so it’s not a radical choice, and I think people should be able to engage and disagree with his views and do it in a mature fashion. It’s no surprise that secular conservatives would jump in to side with evangelical conservatives at Taylor. After all, secular progressives have done the same thing for the anti-Pence side. Things get a little weirder, though, on a different episode of Fox & Friends. Not only did it give you the Biblical side, but it gave you a lot of scientific facts. Now, I’m no conservative, but I can understand perfectly well why non-evangelical conservatives would fall all over themselves to support Taylor’s conservative evangelicals. After all, both evangelical and non-evangelical conservatives can agree on their opposition to LGBTQ rights. But I’m truly flabbergasted when I see non-evangelical reporters describing the Ark Encounter as if it were just another neat museum. How is it possible for anyone who is not themselves a radical young-earth creationist to see the Flintstones-level scientific displays and not ask about them? How is it possible that any journalist can see dinosaurs in cages and not wonder how they count as “scientific facts”? Quick: If you are a die-hard young-earth creationist, where would you want your kid to go to college? Bob Jones? Cedarville? They are both on Ken Ham’s list of “safe” schools. In fact, though, radical creationists are in a more complicated dilemma when it comes to elite higher education. Here’s what we know: In spite of their long-simmering resentment over the state of mainstream and liberal higher education—as I documented in Fundamentalist U—radical creationists are still trapped in a bitter one-way love affair with elite colleges. In the past, young-earth creationists pointed with pride to the credentials of people such as Kurt Wise. I am a young age creationist, because that is my understanding of the Scripture. . . . if all the evidence in the universe turned against creationism, I would be the first to admit it, but I would still be a creationist because that is what the Word of God seems to indicate. Jeanson entered Harvard with a burning desire to find a cure for cancer. He emerged with a determination to push back against evolution and help people struggling with science-religion tension find their way back to Biblical truth. Creation science is such an exciting field. Many people have this idea that creationists don’t do research, but that’s not true. Many creation scientists are actively involved in exciting discoveries regarding the world around us. Ham’s celebration of creationist achievement highlights the century-old creationist dilemma. On the one hand, they need to explain to themselves why mainstream science no longer values their vision of proper science. Usually, that means dismissing bitterly those mainstream institutions as “deluded” or “biased.” On the other hand, though, radical creationists yearn endlessly for recognition from those same mainstream institutions. Harvard has long symbolized the very best and worst of these trends in higher education. Henry Morris, the godfather of radical American creationism, called out Harvard by name in his book The Long War Against God. Harvard went wrong, Morris warned, back in 1869 when Charles Eliot took the helm. In Morris’s telling, Eliot appointed John Fiske, like Eliot a Unitarian, to “introduce and popularize evolutionism in the Harvard curriculum” (pp. 46-47). Yet as the recent celebration of Dr. Jeanson makes clear, radical creationists still relish the thought of a Harvard diploma. In their view, Harvard may be a terrible and terrifying spiritual institution, but creationists still love it deep down in their hearts. Creationists: Have You Stopped Beating Your Wives? Sometimes, it’s all in the way you phrase the question. Newish poll results from the Pewsters underscore the fact: Americans aren’t really sure what to think about creation and evolution. It all depends on how you ask. Other pollsters have come to similar conclusions. As the National Science Board found, what people say about evolution can change wildly when the questions are worded differently. In 2012, NSB asked two different sets of questions. When they asked people if “Human beings, as we know them today, developed from earlier species of animals,” a small majority (52%) said no. But when NSB asked if “according to the theory of evolution,” humans evolved from other species, a much larger group (72%) said yes. In a way, those responses make perfect sense. Lots of people might know that mainstream scientists agree about evolution, but still not think evolution really happened. Other poll results, though, get weirder. A decade ago, George Bishop looked at poll numbers and came up with some flatly contradictory results. For example, it seems some people—a lot of people—agree that dinosaurs died out 65 million years ago (69%). However, because 40% of respondents also think that dinosaurs lived at the same time as humans, there seems to be some impossible crossovers going on. One thing seems likely: Those of us who want more and better evolution education should be encouraged by the fact that the number of intentional, hard-core, consistent radical creationists is nowhere near as high as we are sometimes told. We didn’t mean to. But those of us who fight for more and better evolution education have occasionally unwittingly teamed up with radical creationists to promulgate a false myth about the nature of American creationism. We should stop. Here’s what we know: Most Americans know—or admit—that humans evolved. You may have heard the old Gallup poll results, the ones that keep finding almost half of Americans think God created humans in pretty much their present form at some time within the past ten thousand years. More careful survey questions—it’s all about the questions—reveal much different numbers. The folks at Pew Research have found that about four in every five Americans accept human evolution. The numbers of die-hard evolution deniers is much smaller than you might have thought. Why is that? Why do so many of us think that there are many more radical creationists out there than there really are? For one thing, it might be because of the publicity. Whenever a high-profile radical creationist gets anywhere, it attracts a lot of attention. Consider the ill-starred campaign of Mary Lou Bruner in Texas. She didn’t win her race for state school board, but when she told her facebook friends that there had to have been dinosaurs on Noah’s Ark, and that Obama had put himself through law school as a prostitute, it attracted international attention to her campaign. But there’s another reason, too. Radical creationists like Ken Ham of Answers In Genesis have an obvious interest in inflating the numbers of followers they have. When it comes to the attendance figures at AIG’s Ark Encounter in Kentucky, for example, Ham seems fond of exaggerating the number of people who trickle through his gopher-wood gates. There’s a less obvious angle, too. Not only do Ham and other radical creationists exaggerate their own influence, so do Ham’s fiercest opponents. For instance, Americans United campaigns vigorously for secular public schools. They fight against any whiff of religiously inspired creationist curriculum. In doing so, however, they unintentionally promote the myth of vast creationist armies massing outside the schoolhouse door. As I’m arguing in my new book about American creationism, the vast majority of Americans don’t really disagree about evolution. Not in ways that really matter. Instead, most of us are friendly to the mainstream science of evolution. We’re also friendly to religious ideas about divine involvement in the origins of life. Few of us agree with the radical positions on either side of the creationism culture war. “Vast armies?” or sad little cliques? Instead of harping on the threat of radical creationism, it will be better strategy to emphasize the out-of-step nature of radical creationism. Instead of warning incorrectly—as NCSE godfather Maynard Shipley did in the 1920s—that “the armies of ignorance are being organized, literally by the millions, for a combined political assault on modern science,” we should be celebrating and publicizing the fact that only a small and shrinking band of out-of-touch radicals still deny the essentials of mainstream science. To be fair, SOME creationists might just be ignorant. As I’m arguing in my new book about American creationism, though, there is more than enough ignorance to go around when it comes to evolution and creationism. Why do creationists put Jesus on a dinosaur? Short answer: They don’t. I recently made a short version of this case at UConn’s Humility and Conviction in Public Life blog. If we want to make any real progress in our continuing battle over creationism, we can at least start by acknowledging a few of these obvious truths. Agree? Disagree? Click on over to H&CiPL to check it out. We all knew it was going to be ugly and stupid. I’m still surprised, though, when people say these things with a straight face. Conservative pundits lump middle-of-the-roaders like me into a vast, scheming “secular Left . . . who cannot stand the presence of religion in everyday life.” Lefties blast middle-of-the-roaders like Cory Booker into the conspiratorial Right. No wonder we can’t have a decent convo. First, my alleged anti-religiosity. After my recent commentary about Karen Pence in the Washington Post, Ben Shapiro took to the tube-waves to rebut. At about 19:30 in this segment, he hoped to redefine Ms. Pence’s ordeal. Instead of an old-fashioned fight between religious groups, Shapiro insisted, what we’re facing now was an outright fight by powerful secular forces against traditional religion as a whole. a basket of bigotries masquerading as religion. I won’t rebut Shapiro’s rebuttal, though I will point out that SAGLRROILYBYGTH have offered much more powerful and insightful counterarguments to my Pence commentary in these pages. The point this morning is bigger and it’s not only about my hurt feelings. It’s not even about conservatives alone. Pundits on the left tend to shoot their mouths off just as wildly. For example, though I’m not a fan of Senator Cory Booker’s (fading?) support for charter schools, I can acknowledge that he often endorses traditional progressive political positions. Booker has faced a steady drumbeat of criticism from sites like Daily Kos, where a contributor asserted last year that he “would actually be much more at home in the Republican Party.” Booker’s team has grown all too familiar with the rap that he is “some sort of Manchurian candidate for the right,” as his campaign spokesman, Kevin Griffis, put it to me with a sigh. The problem is bigger than Cory Booker or Karen Pence. It’s even bigger than Ben Shapiro. In a sensible system, pundits on both sides would rush to include as many people as they can on their team. Ben Shapiro would notice that my argument wasn’t really against traditional religion at all. Cory Booker would be welcomed into a big-tent Left and encouraging to squeeze every possible progressive drop out of his role. That’s not what happens. Instead, as pundits on both sides try to get clicks by excoriating their natural allies, the left-right divide only gapes ever wider. It was the creationism part that first got my attention. Why would a smart, dynamic politician introduce such an old-fashioned creationism bill for public schools, a bill obviously doomed to failure? As I read the rest of the bill, the answer became obvious. And for anti-creationist campaigners, the lesson is clear. What gives? Why would a creationist go back to a failed strategy? After all, the inclusion of “creation science” in public schools has been definitively rejected by the Supreme Court. Why would Kruse bother to ask for something (again) when he knows he won’t get it? The rest of the bill makes the answer painfully obvious. Senator Kruse isn’t really crafting legislation here. He is creating a conservative vision board. Kruse is asking for a range of educational policies that might or might not be possible. He wants all Indiana public and charters schools to post big “In God We Trust” signs, along with a US and Indiana flag. He wants religious electives, including Bible studies. He wants students to be able to earn public-school credit for religion classes. Creationism—even the outdated “creation science”—is only one of the public-school visions on this Indiana board. Why does it matter? As I’m arguing in my new book about American creationism, we will never really understand creationism if we think of it only as a fight about science curriculum. In most cases, creationism is only one aspect of a wide-ranging conservative attitude about education. Yet too often, science teachers and science advocacy groups are left all alone in their fight against creationism in public schools, when the fight is not really about science. It is a fight over the proper nature of public education. Should schools be aggressively pluralist, ditching their historical Protestant baggage? Or should they be staunchly traditionalist, teaching children to be patriotic and Christian? Posted in Bible and Prayer in the Classroom, Evolution/Creation, Freedom & the Free Market, Tradition in the Classroom, What is school? SAGLRROILYBYGTH have likely been following the story: Second Lady Karen Pence has taken some heat for going back to work at Immanuel Christian School, an evangelical school with explicitly anti-LGBTQ beliefs. As they rush to defend her, I’m arguing this morning, Pence’s conservative allies are actually stumbling into an old culture-war trap. Thanks to the Made By History series editors, this morning I’m arguing in The Washington Post that Pence’s defenders are making an old mistake in their hasty counter-attacks. I won’t give away the details–you’ll have to click over to read the whole thing–but I will say I work in some of the biggest names in twentieth-century creationist history: Henry Morris, Bernard Ramm, and William Jennings Bryan. It’s not only in the pages of dusty history books nobody reads. As Curmudgucrat Peter Greene wrote recently, the effort to stifle teachers’ political opinions is alive and well. But here’s the question every real teacher keeps wondering: Why are people so worried about teachers? Here’s what we know: Greene describes a recent bill in Arizona to limit teachers’ ability to talk politics in the classroom. The bill would combat teachers’ alleged aggressive political posturing. What would it do? Teachers may not endorse, support or oppose any candidate or elected or appointed official. Teachers may not bring up any “controversial issues” not related to the course. . . . Teachers may not advocate for one side of a controversial issue; they must always present both sides. Greene argues that this bill is not just an Arizona quirk but rather part of a vision to restrain teachers from voicing progressive opinions. And it won’t come as any surprise to SAGLRROILYBYGTH that the fear of progressive teachers has a long history in the US of A.
a deliberate plan worked up by a well-defined group of left-wingers and educators, collaborating for a number of years on this huge project of reconstructing our society. Do educators have the right to use our children as guinea pigs in behavior modification experiments? Should our children be under the direction of ideologues hostile to Judeo-Christian values and American constitutional liberty? Look out kids, it’s a…teacher! For many conservatives, the notion that teachers are “ideologues” cramming Leninist doctrine down the throats of America’s schoolchildren is a hallowed truth. But why? 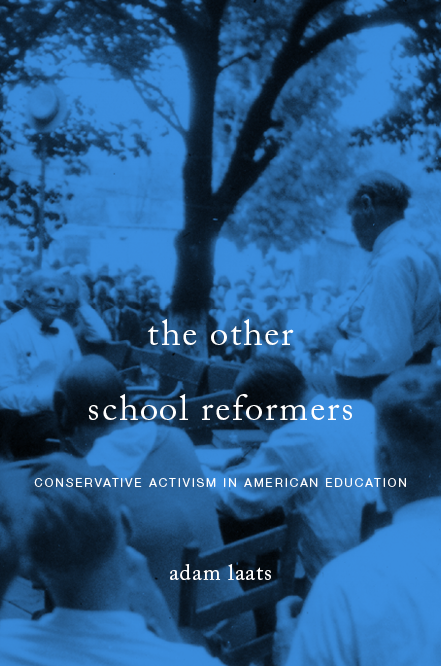 Why do so many conservatives worry so unnecessarily about teachers’ political activism? After all, ask any teacher, and they’ll tell you: We worry about far more prosaic issues in our classrooms. We worry if students are learning the material, and if there’s a better way we could present it. We worry that students aren’t understanding things, and if there’s something we could be doing to help. We worry mostly about our students as people, not as partisans. Moreover, as every study has shown, teachers do not swoop in from outside to cram politics down students’ throats. For example, as political scientists Michael Berkman and Eric Plutzer found, when it comes to teaching evolution and creationism, most teachers reflect the majority values of their communities, because most teachers are products of that same community.